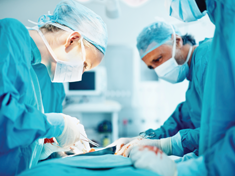 ASCA 2019: Considering Vascular Procedures in Your ASC? Careful scrutiny and understanding of a dialysis patient along with a robust process and procedure for scheduling these patients is extremely important. If you are planning to add vascular procedures to your ASC, I recommend you attend my session “Should You Perform Vascular Procedures in Your ASC?” at the ASCA 2019 Conference & Expo, May 15–18, in Nashville, Tennessee. I will share tips on what to consider before taking on this specialty at your facility.